She was 28 years old when she was diagnosed (on the right with myself and staff member). She will have survived breast cancer for many years before most women are having their first mammogram. Her post is long but nicely written and insightful for a young woman who was forced to grow up very quickly. IN HER OWN WORDS: Life was great; I’d graduated college, had an amazing career in Finance and I had recently enrolled in a Master’s program to further my education.My dream vacation to explore Europe was all booked and there were literally no clouds in my sky. However, everything changed on the night of Friday April 18th 2014; I felt a strange lump in my breast while cooking. Even though I was scared because I knew this lump was foreign to my body and I had no health insurance at the time, I decided to go to the hospital and get the lump checked out. The doctor tried to assure me that it was most likely benign due to my age and family history, but I was not convinced. I decided to seek a second opinion and fortunately I found a doctor who showed more concern and did a core biopsy. Unfortunately, when I got called in for my results, to my dismay, my world came crashing down. I was diagnosed with stage 2A breast cancer on Thursday May 1st of that same year. Now here I was 28 years old with no family history of breast cancer being faced with the biggest challenge of my life. To say my world was turned upside down is an understatement as I am technically not due for a mammogram for another twelve years. If only life was a fair game, the reality I was beginning to face would not be true. That Thursday, May 1st, I remember calling my employer to relay the devastating news. There were a million things going on in my mind at first because I had to come to terms with the fact that I felt too young to die from breast cancer, I had no health insurance and I did not know what was next in this process. To say I felt a glimmer of hope that Friday May 2nd is an understatement. My manager called to tell me that I had been hired by the company after freelancing for the last three years. And just like that, I was now covered under a health insurance. Nevertheless, I was in denial for the first few days, I cried every night all night for at least the first week. I felt as though I was being punished for something I did not do, something I did not deserve to be punished for. I questioned the higher realm as to why me? Why me? A question I did not quite have the answer to. I really did not know how to move forward being the first one in my immediate family to be diagnosed. And to make matters worse, I had been informed that I also carry the BRCA genetic mutation which puts me at high risk for both breast and ovarian cancer. After the first week of what I now consider to be the longest, most unreal week of my life, I gradually moved from the denial stage to acceptance and a singular determination to cope with the situation at hand. After all, I had cancer. Cancer did not have me. So I accepted the challenge ahead and made winning the fight my only goal. The bonus in this life changing experience was the massive support I had and still have from my family and friends who were with me every step of the way. Their presence at every doctor’s appointment and their countless calls and company was more than enough to help get me through. 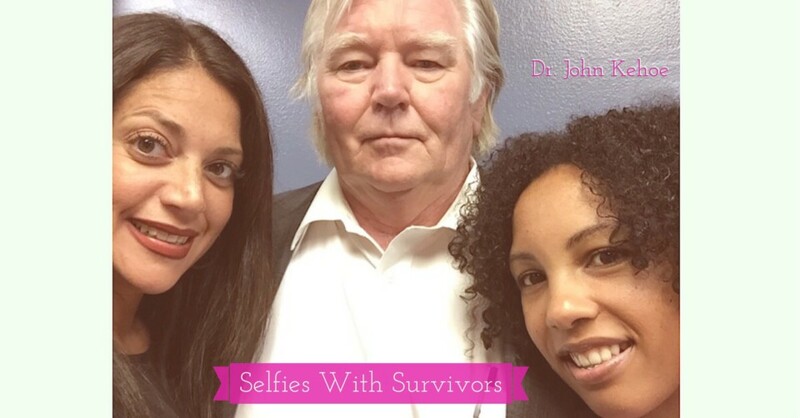 The Process….After consultation with my doctors, I decided to first have a lumpectomy. Then I had my eggs harvested and frozen as a plan B in case I wanted to have children in the future. Fortunately for me, the fertility doctor was able to harvest 24 eggs for the process. Shortly after, this I started chemotherapy, which began in July of 2014 and lasted thru to October of 2014. As a young woman, the physical and emotional effects of chemotherapy were hard to cope with. Losing weight on my already tiny frame was terrifying; I watched the scale move from 113 pounds to the 94 pounds over a few weeks. Losing the hair on my head along with my eyebrows and eyelashes tampered with my self-esteem in a major way because I did not feel pretty at all. But I constantly reminded myself that the challenge was far from over and I had to remain focused. I kept telling myself, as I counted down the eight weeks of chemotherapy, that temporary menopause, hot flashes, nausea, black nails, uncontrollable bowels and the long list of effects that I endured were only short-term. Then on January 2015, I underwent a double mastectomy with immediate reconstruction. Even though, my reconstructive breasts were not perfect, they were my breasts and I had to find a way to adjust to my new normal and this is exactly what I have tried to do every day since. Day by day. Life Beyond Cancer…I now spend as much time as possible outdoors, enjoying the simple things in life for which I have found a new appreciation.This keeps me in a very relaxed state of mind. My breast cancer journey has been rollercoaster experience, but I am stronger now in every way possible. I won this battle with the love and support of my family, friends, nurses and doctors topped off with faith and a positive attitude of appreciating life. It is important to never give up even though the road may be tough and long because the reward is far greater at the end and this experience made me grow and be a better person in every way possible.